D.B. 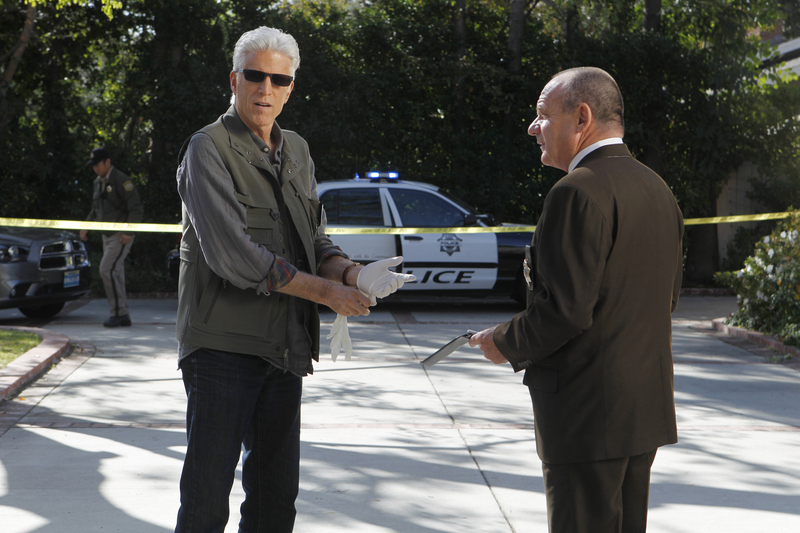 Russell (Ted Danson, left) and Captain Jim Brass (Paul Guilfoyle) discuss the circumstances surrounding the dead body found at Dr. Robbins house. Photo: Sonja Flemming/CBS ©2011 CBS Broadcasting Inc. All Rights Reserved.